Among Greek histories of the fall of Constantinople in 1453, the work of Laonikos (ca. 1430–ca. 1465) has by far the broadest scope. Born to a leading family of Athens under Florentine rule, he was educated in the classics at Mistra by the Neoplatonist philosopher Plethon. 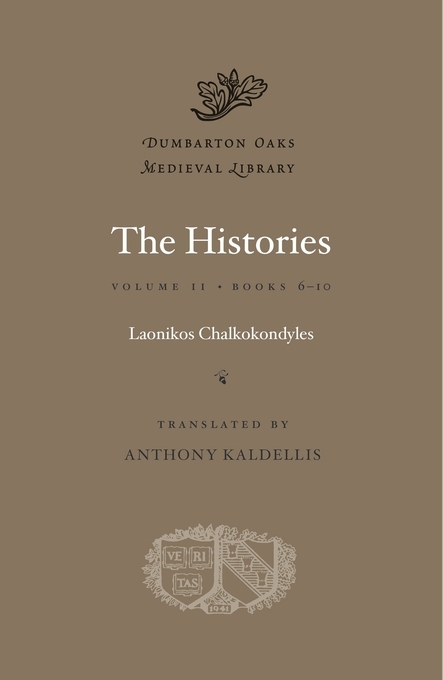 In the 1450s, Laonikos set out to imitate Herodotos in writing the history of his times, a version in which the armies of Asia would prevail over the Greeks in Europe. 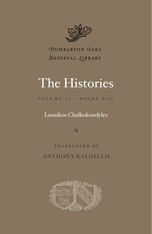 The backbone of the Histories, a text written in difficult Thucydidean Greek, is the expansion of the Ottoman Empire from the early 1300s to 1464, but Laonikos’s digressions give sweeping accounts of world geography and ethnography from Britain to Mongolia, with an emphasis on Spain, Italy, and Arabia. Following the methodology of Herodotos and rejecting theological polemic, Laonikos is the first Greek writer to treat Islam as a legitimate cultural and religious system. He followed Plethon in viewing the Byzantines as Greeks rather than Romans, and so stands at the origins of Neo-Hellenic identity. This translation makes the entire text of The Histories available in English for the first time.